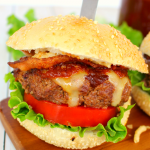 Fire up the grill for this quick, easy & delicious dinner idea! 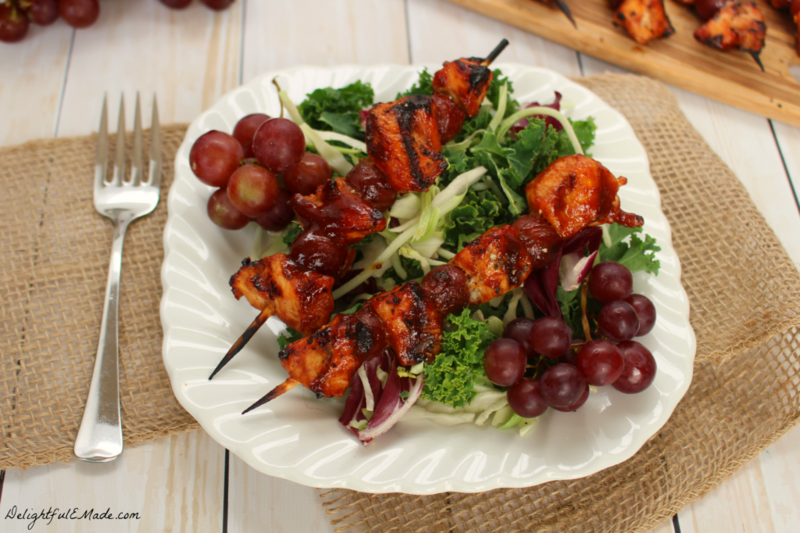 Smokey barbecue sauce covers these chicken and red grape skewers, making the savory, sweet flavor combination amazing! Great for tailgating and watching the big game, too! Many of you may already know that I love to grill. A few years ago my husband got me a nice grill for my birthday, and I’ve been hooked on grilling ever since. My neighbors often see me grilling up dinner in our driveway just about every month of the year – that includes cold, snowy January. This cold weather has brought out a craving of delicious, grilled chicken that I could no longer ignore. 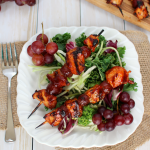 So I wheeled out my grill, fired it up, and with the help from Kraft Slow-Simmered Hickory Smoke Barbecue Sauce, grilled these fabulous Barbecue Chicken and Red Grape Skewers! 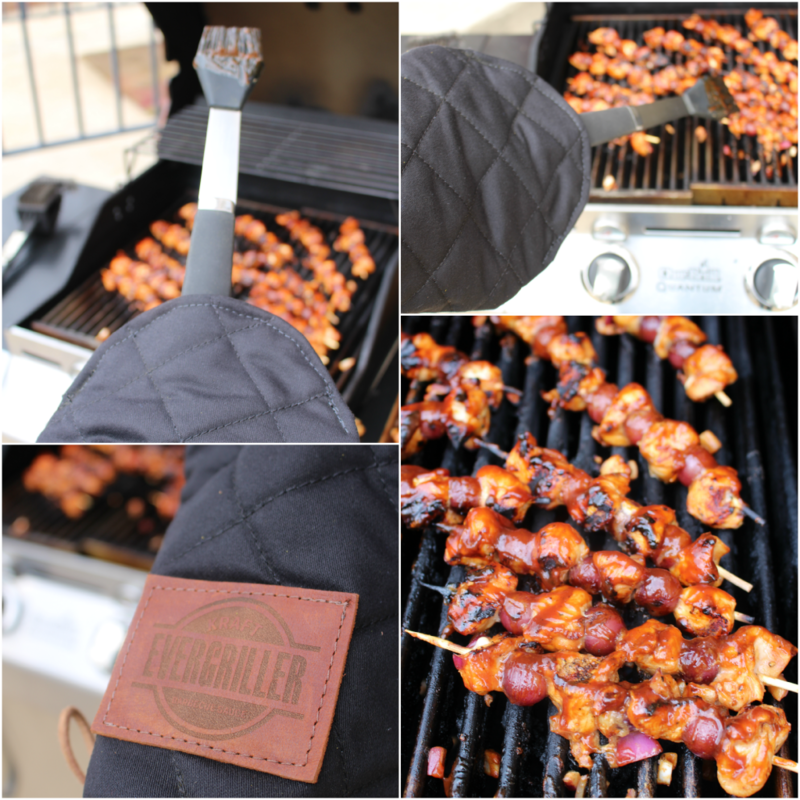 To help me grill up these delicious skewers, I used my Kraft Evergriller Grill ‘N’ Flip Mitt, which made grilling in January pretty awesome! Your grill brush or spatula fits inside the mit, which helps protect your hands from the heat of the grill, and the cold January air. I was able to brush on the Kraft Slow Simmered Hickory Smoke Barbecue Sauce easily with the brush, and my hands stayed cozy right inside the mitt. The Evergriller Grill ‘N’ Flip Mitt is a specially designed, fire-resistant grilling glove. The unique design of the top insert can hold many grill tools, making it easy to flip, stab, and baste with ease and precision. 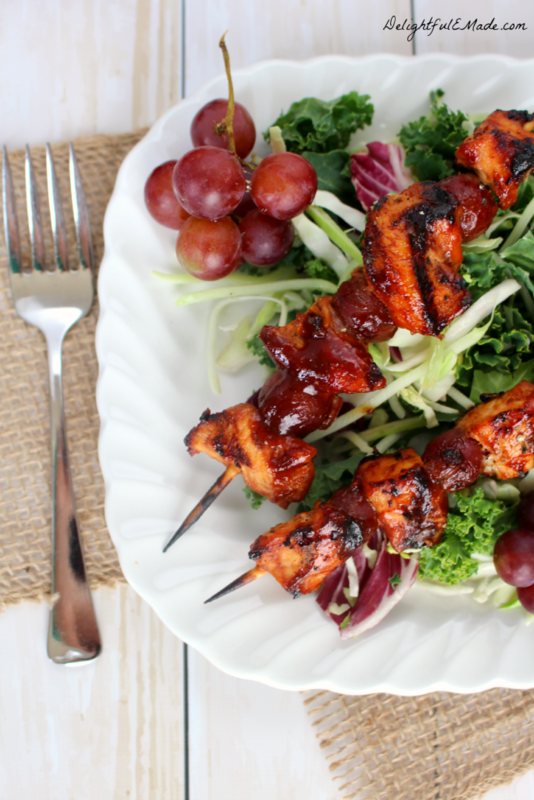 These Barbecue Chicken and Red Grape Skewers are a fantastic dinner idea, that everyone in your family will enjoy. They’re also fantastic to make for watching the big game! 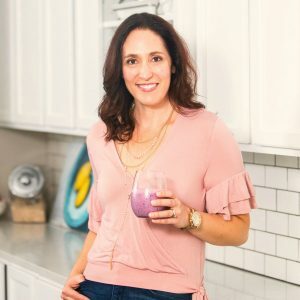 They are simple to make and include ingredients that are easy prep after a busy day. The Kraft Hickory Smoke Barbecue Sauce makes a great marinade for the chicken. Prepping it earlier in the day helps the smokey, delicious flavors sink into the chicken for an even tastier bite! I like to cube the chicken, add the sauce, onions and pepper and let it refrigerate for a few hours before dinner time, so when your ready to assemble your skewers, the meat is ready to go. 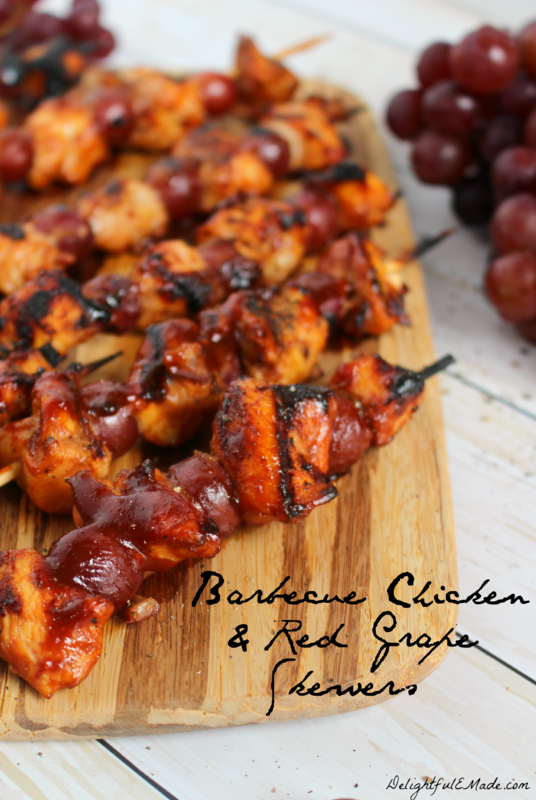 The smokey, savory flavors of the sauce pair wonderfully with the sweet, red grapes. When grilled, the flavors come together to create the perfect sweet-savory bite. Pairing these skewers with a crunchy, delicious salad makes for a smart lunch or dinner option for any day of the week! 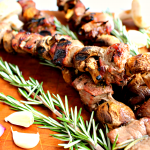 Once you have your skewers assembled, they take just a few minutes to grill. I was able to grill my skewers for 4-5 minutes per side on a medium heat. I brushed on an additional coating of sauce after I flipped the skewers for even more of that delicious, smokey flavor! New Kraft Barbecue Sauce is available in eight varieties across smoky, sweet and spicy flavors: Original, Hickory Smoke, Sweet Honey, Mesquite Smoke, Sweet Brown Sugar, Sweet & Spicy, Spicy Honey, and Thick & Spicy. Kraft Barbecue Sauce is sold at retailers nationwide at a suggested retail price of $1.99 per 18-ounce bottle. Select flavors are also available in 28, 40, and 82.5-ounce varieties. A fantastic quick, easy & delicious dinner idea that the entire family will love! 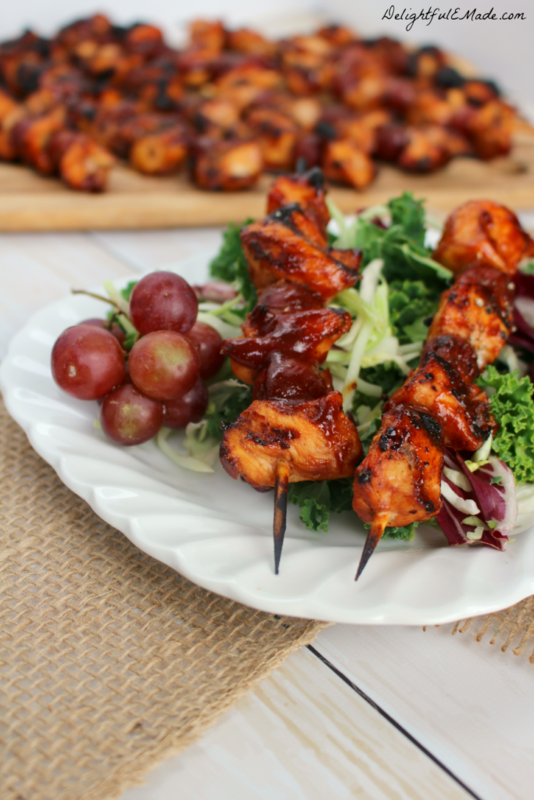 Smokey barbecue sauce covers these chicken and red grape skewers, making the savory sweet flavor combination amazing! A few hours before cooking, combine the cubed chicken, diced red onion, 1/2 c. of the sauce, and pepper. Stir to make sure the chicken is evenly coated. Refrigerate and marinate for at least 1 hour, or up to 12 hours. When ready to cook, preheat your outdoor charcoal or gas grill. (You can also use an indoor grill pan.) 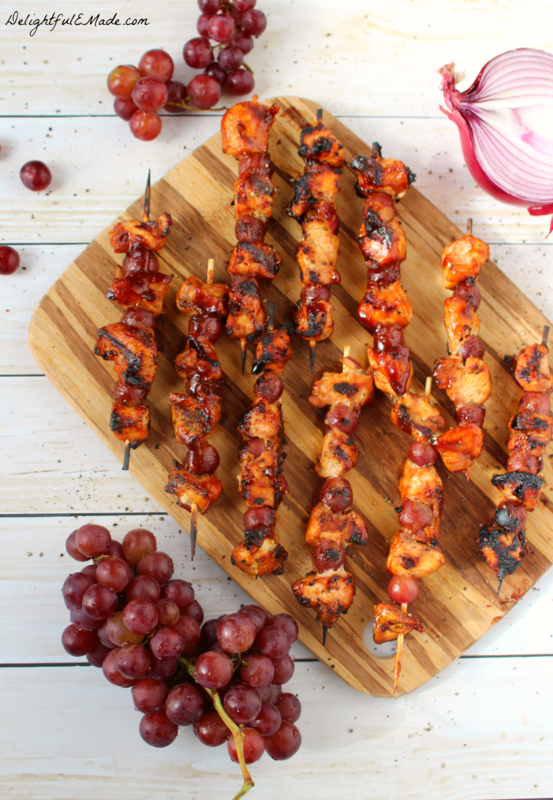 Assemble the skewers by alternating the marinated chicken cubes, and grapes. 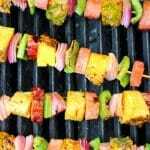 To help your skewers not stick to the grill grates, spray on some non-stick grilling spray prior to adding the skewers to the grill. 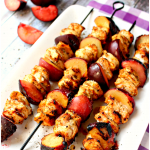 Add the skewers and grill for approximately 4-5 minutes per side. Brush with the remaining 1/4 c. of sauce after turning. Serve right away. 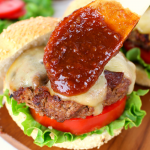 If you like this recipe, then you’ll be sure to love all of the other Kraft recipes – check out all their great grilling recipes here!